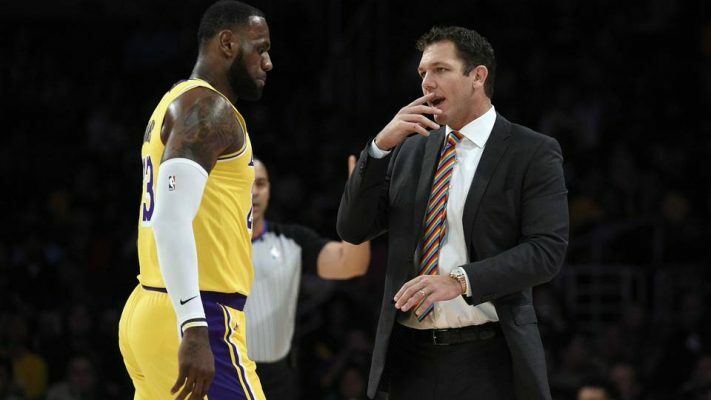 It seems the question of who is really running the show for the Los Angeles Lakers has been answered thanks to a recent report that LeBron James is ignoring Lakers head coach Luke Walton’s play calls. According to ESPN’s Brian Windhorst, NBA scouts have noticed that James has started to take matters into his own hands while on the court. 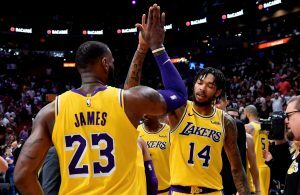 While that may sound like bad news for Walton, Windhorst went on to explain that it may be more a product of James simply gaining comfort and confidence within the Lakers system. Despite the fact that two most recent games resulted in defeats, the Lakers are 8-4 in their past 12 games. 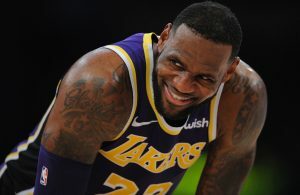 While James’ statistics have been phenomenal all season, so far averaging 27.6 points, 7.9 rebounds, and 6.7 assists per game, he has shown far more determination on the defensive side as of late and seems to be locked in compared to earlier in the season. Still, regardless of James’ immense talents, it is never good news to hear that a star player is disobeying his head coach’s directions. 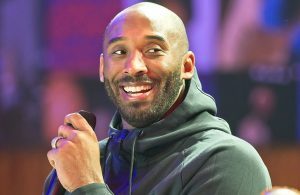 According to a report earlier this season, Walton has already faced criticism from team president Magic Johnson. With news that James may be questioning Walton’s play calls, it seems safe to say that the head coach is sitting firmly in the hot seat. ← Previous Story Lakers Rumors: Anthony Davis to Land in Los Angeles in 2019?